2018 was, to say the least, an amazing year. I really can't even put into words how good it was... so I'm not even going to try. A picture is worth a thousand words, so get ready for a novel... because 2018 was a great one! Welcome to the last Friday post of 2018!! It's so cliche, but this year really has gone by insanely fast. It's been such a good one (stay tuned for a recap post next week) and I am so excited for everything that 2019 has in store! This past month has been especially great; it's hard to be sad when it's Christmastime! Happy Friday! We've made it... finals week is over and Christmas is upon us. This month has gone by so fast... I can't believe the Christmas season is almost over! 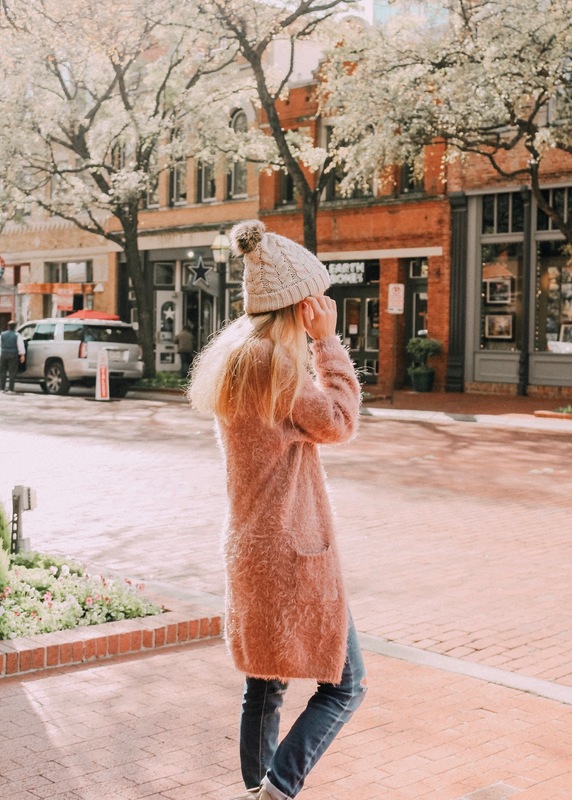 I have one last festive weekend ahead of me, filled with shopping, baking, and gift wrapping! Eating... allllll the Christmas desserts. My favorite is this eggnog cake. Please please please go make it, because it is the BEST thing EVER. We are nearing Christmas and I am sure most of y'all have finished your Christmas shopping already... but if you're anything like me, then you probably procrastinate on getting gifts for people until the very last second :) Today I thought it would be fun to share some of the most popular items on Blissfully Brooke! 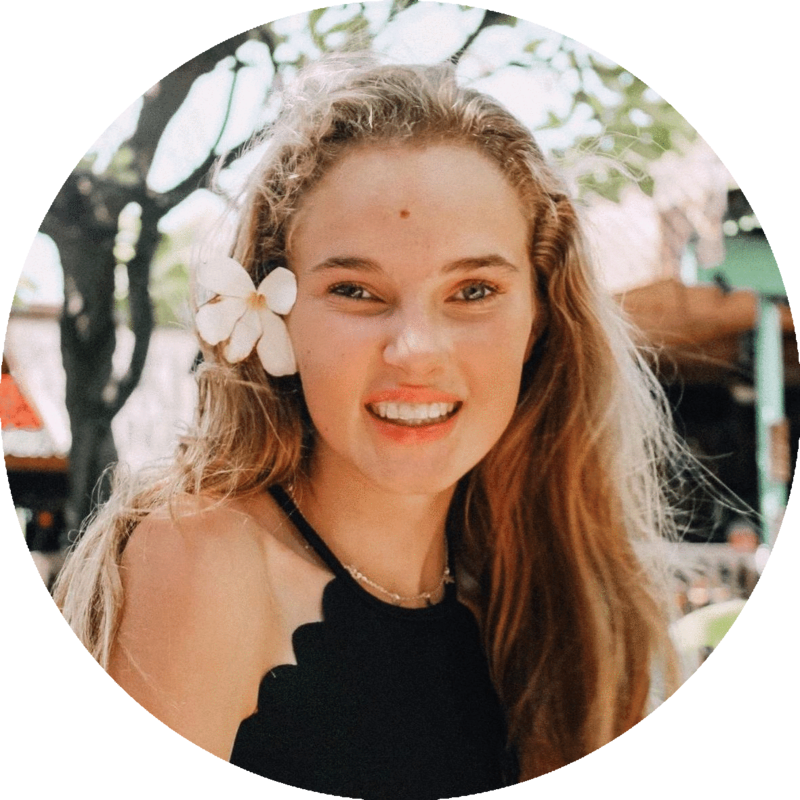 I use affiliate links whenever I link a product or item of clothing, and that enables me to see how many people click on each link + purchase the items I've linked. 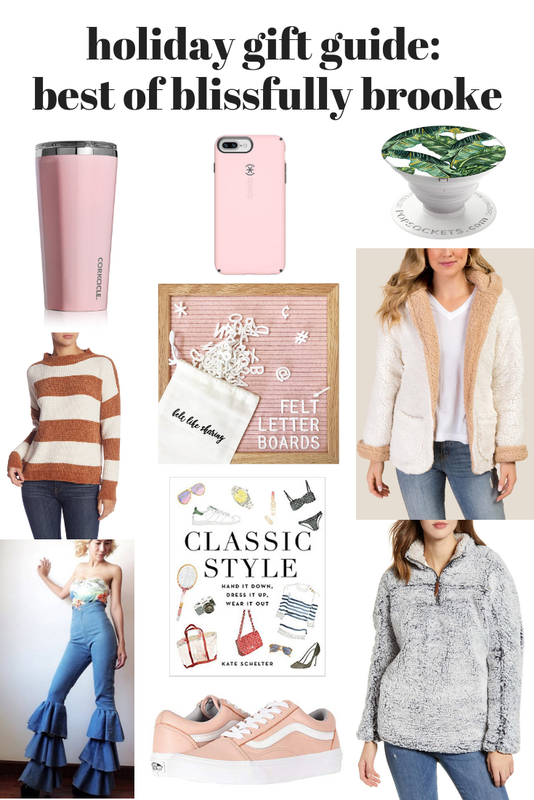 I've included the most popular items that y'all have clicked on and purchased over the past year - so this is basically like a Readers' Picks vol. 2! I feel like pretty stationery is something that every girl loves, but nobody really buys stationery for themselves. Therefore, it makes a great gift: who doesn't love receiving a pretty new notebook with a nice set of pens attached? 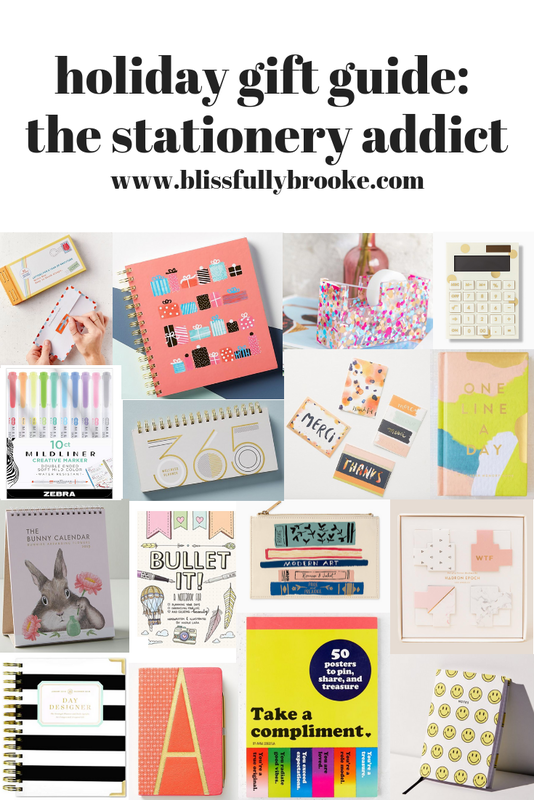 Today I've rounded up some of the prettiest stationery items out there - they make perfect stocking stuffers, gifts for your Secret Santa, or gifts for the stationery lovers in your life! I think ugly Christmas sweaters are so cute. I love the fun (and slightly obnoxious) designs, witty sayings, and festive colors! 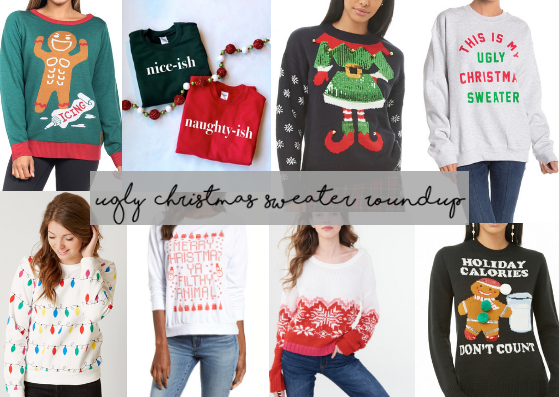 Today I've selected some of my favorite ugly Christmas sweaters to share with y'all, in case you're looking for one to wear to a party or other holiday event.